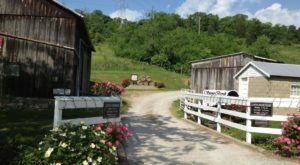 It’s not often we feature chain restaurants because we love unearthing hidden gems and sharing local favorites. But what if one of the local favorites is a chain? 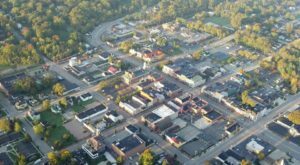 And what if – although it’s grown to include dozens of locations – it’s still maintained its original charm, character, and delicious food? 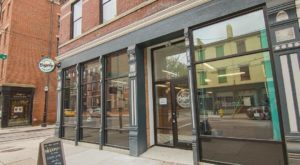 Well, we think it deserves to be featured as well and in Cincinnati one of these such places also happened to start right here in the Queen City. 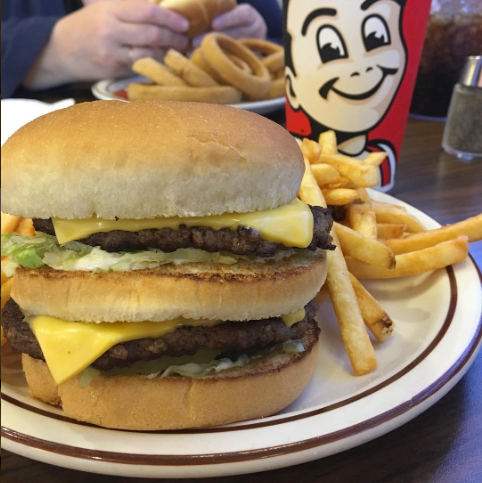 Frisch’s Big Boy is the iconic diner in our city that has been serving up mouthwatering burgers for decades – and we all love it. 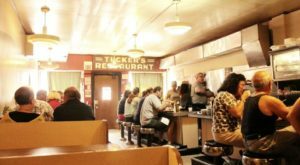 Cincinnati's beloved diner's story goes all the way back to 1905, when Samuel Frisch opened the Frisch Cafe. 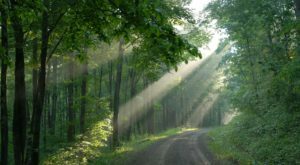 Dave Frisch, the ninth of ten children, worked alongside his father and brothers at the restaurant. When his father died, Dave was left to run the popular diner along with his brothers. In the 1930's, Dave took a chance and went out on his own, opening the Mainliner - Cincinnati's first year-round drive-thru. In 1946 at a convention, Dave learned of a double decker burger named the "Big Boy." He secured the rights to the name, added the now infamous tarter sauce and the Big Boy was born. The first Frisch's in Cincinnati was such a success that the diner grew over the years, while still maintaining its original character and atmosphere. 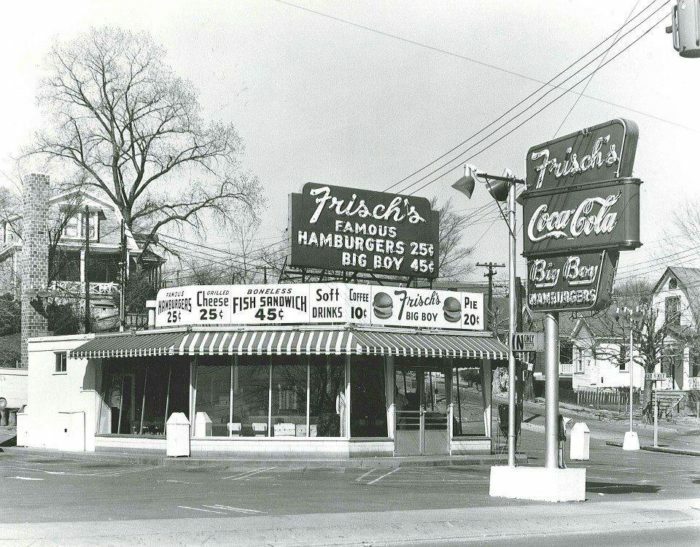 The photo above shows the first location in Kentucky, a Frisch's in Newport in 1950. Of course, part of the appeal of this classic diner is Big Boy himself. 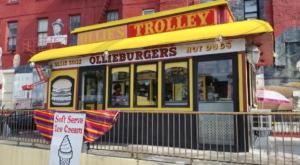 Big Boy has changed some over the years, but he's always greeted customers with a smile and continues to encourage everyone to try his infamous sandwich. The menu at Frisch's hasn't changed too much over the years, although they do try new items from time to time. The original Big Boy is best served with extra tartar sauce - both on the burger and for dipping your fries. Also, don't forget a Coke with Frisch's famously tiny ice cubes. Frisch's is known for other menu items aside from the Big Boy. The breakfast bar is perfect for those mornings when you just want to sit down and dig in. They also offer a pretty good salad bar. 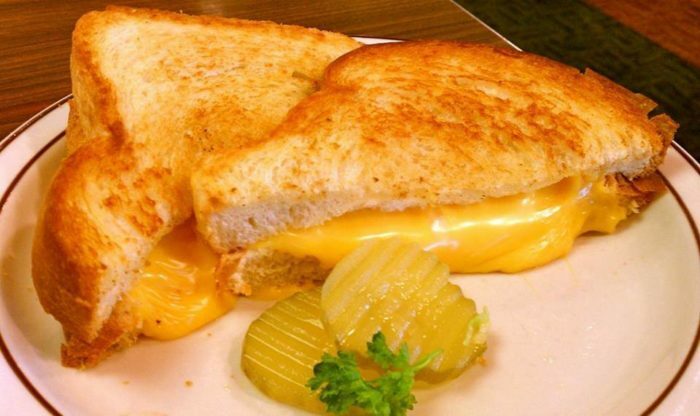 The grilled cheese is one of the best in the city. A Frisch's grilled cheese, dunked in a cup of their vegetable soup, is the perfect rainy day or sick day meal. 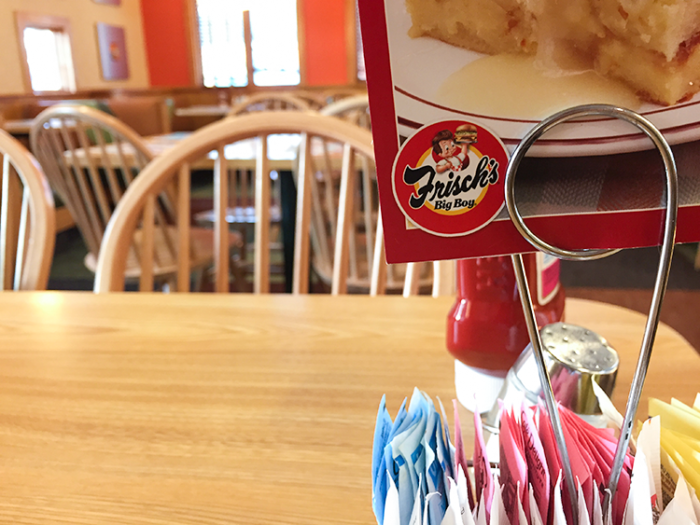 Although Frisch's has been able to adapt to the times and trends, it remains nostalgic and true to its diner roots. Even with a bit of a transformation over the past year, Frisch's still has that classic diner feel when you walk in the door. From the menu to the decor, it's consistently a good place to enjoy a delicious meal. Despite its chain restaurant status, Frisch's is worthy of its popularity and deserves to be featured. 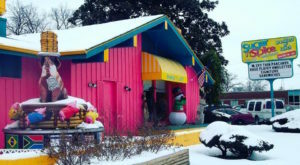 The restaurant grew because Dave Frisch created something that would connect to everyone. 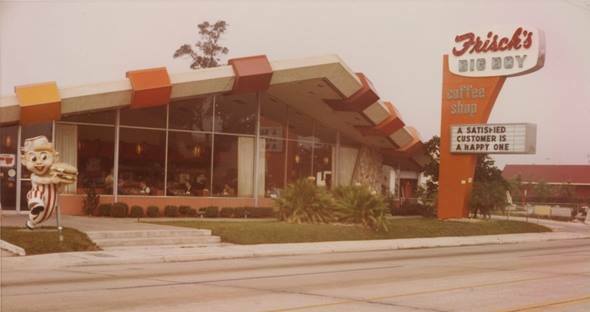 A comfortable atmosphere, mouthwatering food, and tons of nostalgia all make Frisch's the icon that it is today. 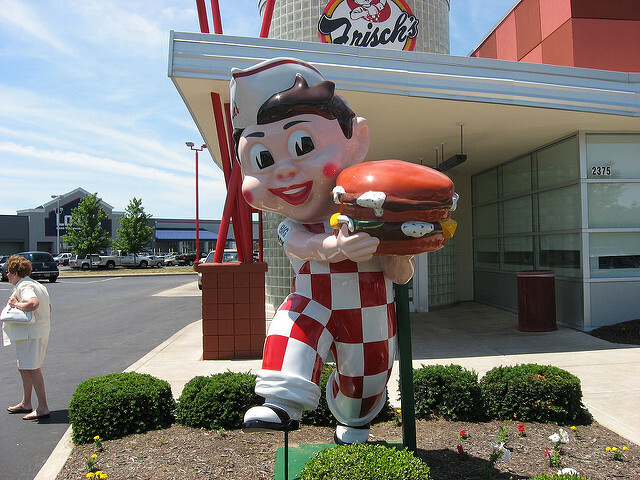 Frisch’s Big Boy has been around for generations and we hope it continues on it the same classic fashion. Do you enjoy the Big Boy at Frisch’s? 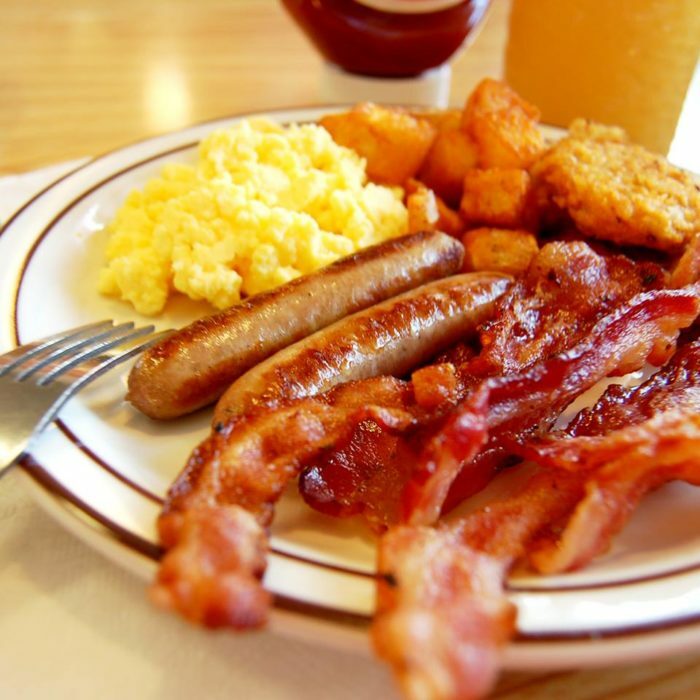 Do you crave the breakfast bar? Share your thoughts with us in the comments! 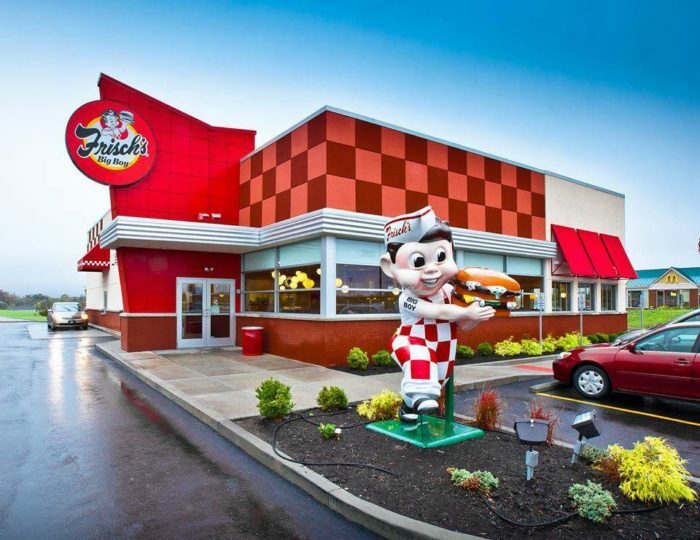 Frisch’s Big Boy has various locations, but for more information, check out their website here. 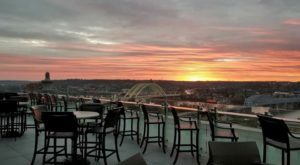 And for more iconic restaurants throughout Cincinnati, check out our recent article here.